The Alliance provides flexible, affordable and quality childcare across England. 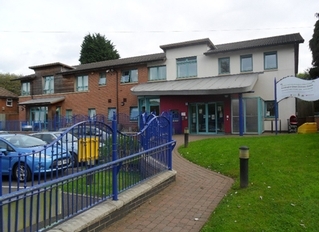 Doddington Green Nursery is an Alliance childcare service located in Bartley Green, Birmingham. We offer 50 Ofsted-registered places. Our committed, friendly and well-qualified nursery team provides high quality care and learning opportunities for children aged between 5 weeks to 5 years. 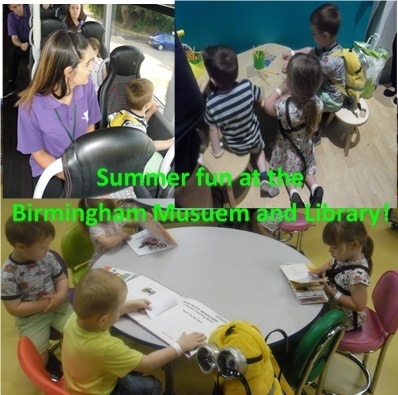 We offer 2 year funded places and 3-4 year old funding; 15 or 30 hours. We have spaces available so please contact us. We are open from 8am till 6pm, Monday to Friday, 52 weeks of the year, excluding bank holidays and three staff training days. 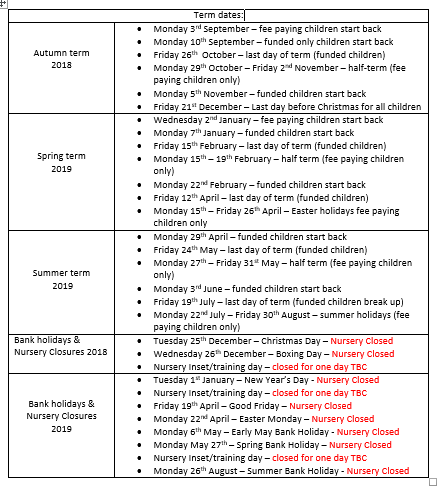 Term dates, Bank Holidays and Nursery Closure days. Our Children and Staff have enjoyed a week celebrating the Royal Wedding. As part of this each room participated in a 'Great British Royal Wedding Bake Off!' where each room entered a Royal Wedding or British themed cake, where one room would be crowned Star Baker! 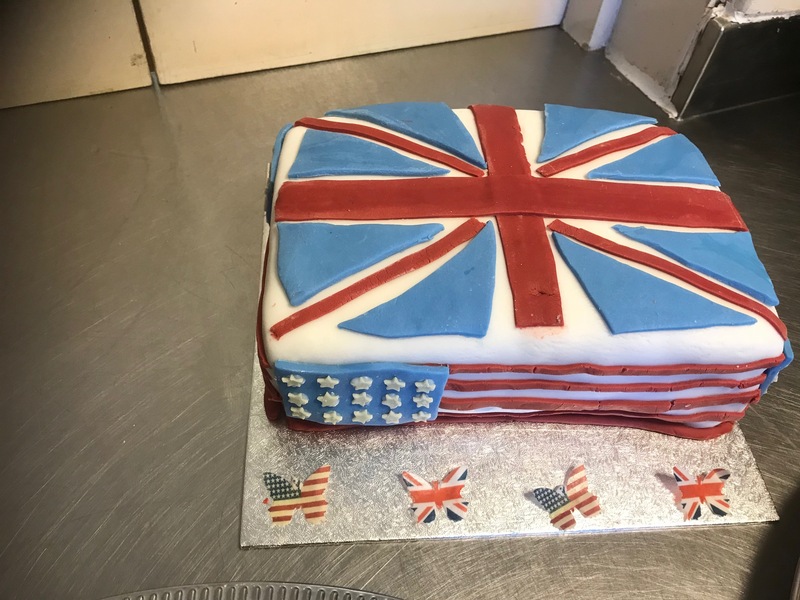 The cakes were fantastic (as you can see from the pictures) and the Winning cake was the Union Jack and American Flag. 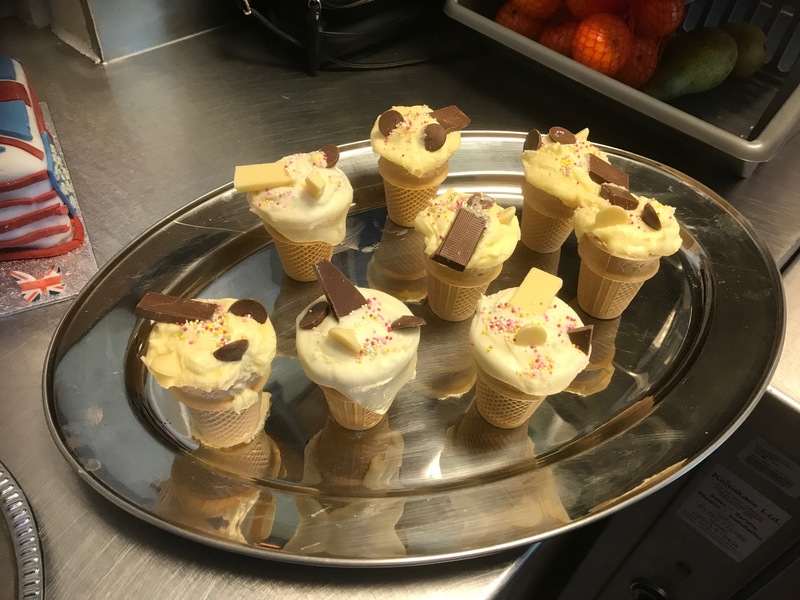 All cakes tasted amazing with special recognition for the Lemon and Elderflower icing and the vegan free ice-cream cone cakes. 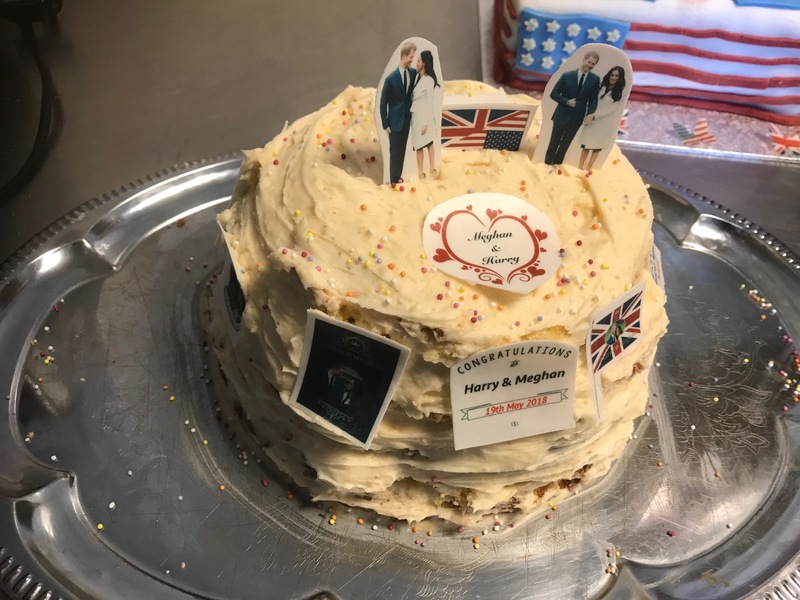 All the staff and children enjoyed tasting the cakes and celebrating the Royal Wedding. The toddler room children enjoy sharing stories in the book corner. 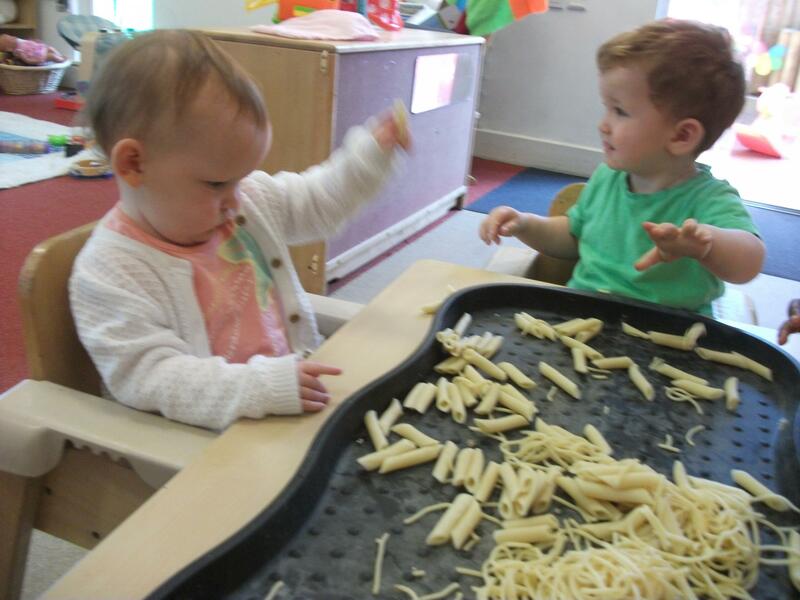 The baby room children love their daily sensory experiences. 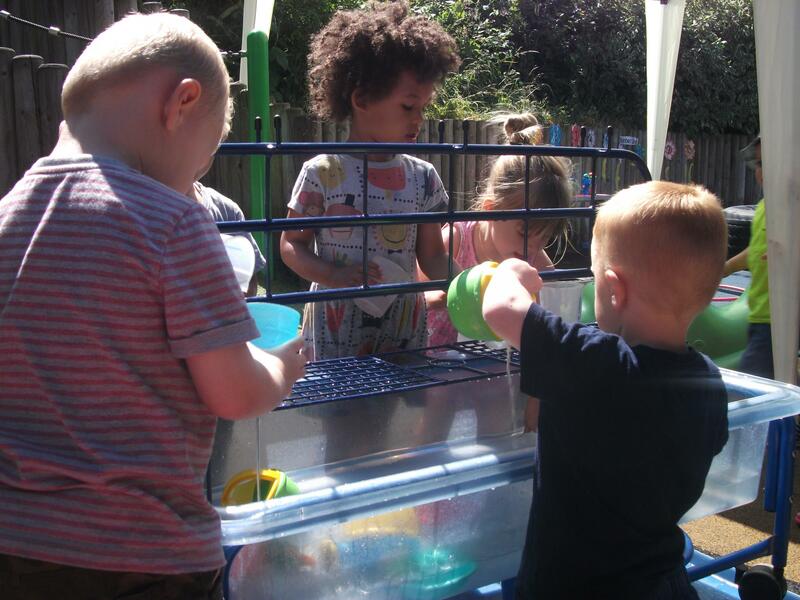 Water fun outside in the garden. 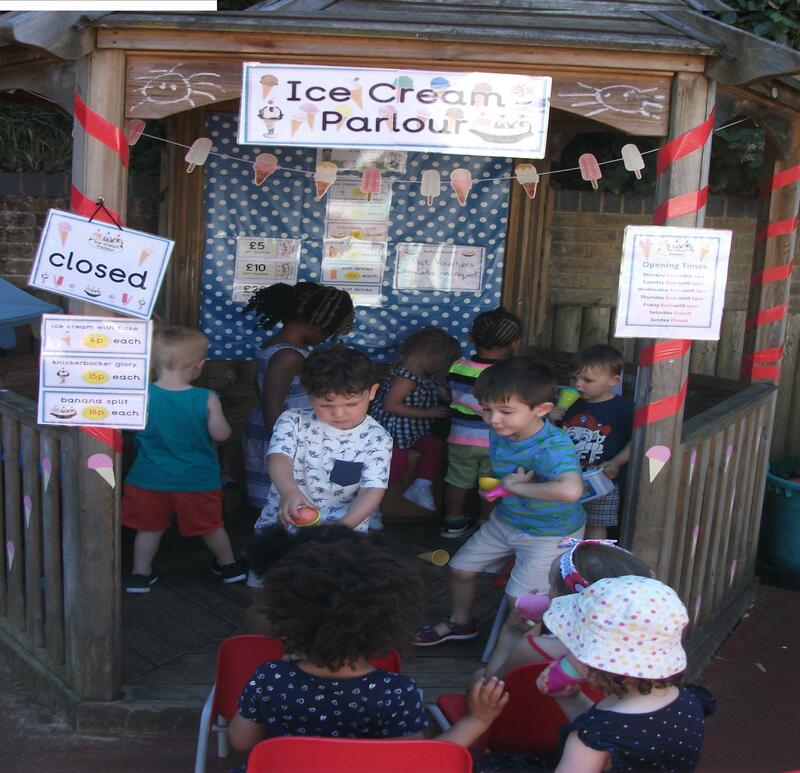 The children enjoying our Ice-cream shop role-play during our beach topic. 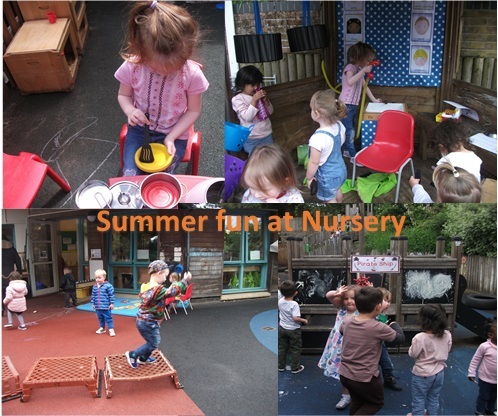 Doddington Green Nursery offers a stimulating approach to early years development and learning for very young children. 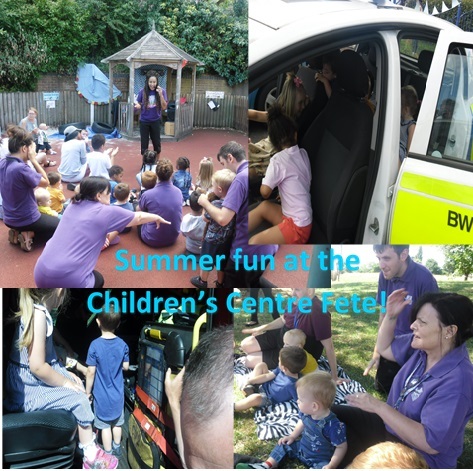 Within a safe, friendly and fun environment, children are supported by qualified, caring staff in developing a wide range of skills and interests. 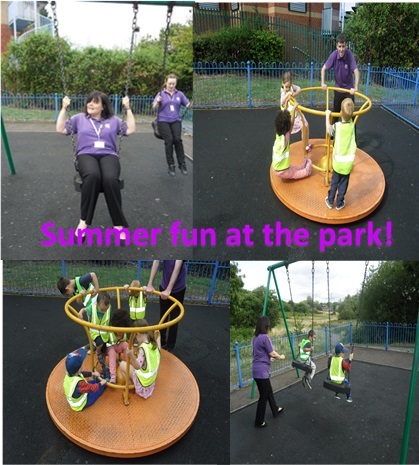 The children enjoy learning through play experiences in bright indoor and outdoor play areas. Our well qualified, committed and experienced team work hard to create a caring and learning environment in the nursery. We know that every child develops differently and at different times. Every child has a key person who understands how their individual needs and interests. 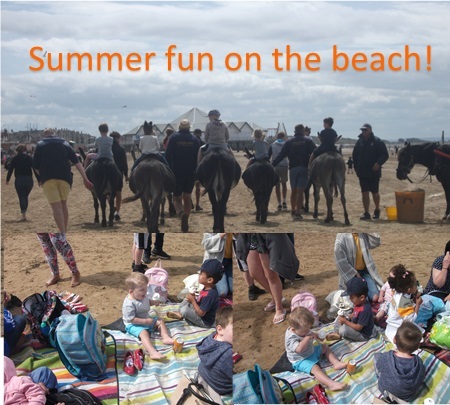 This helps us to ensure that every child feels involved, stimulated and happy in our care. 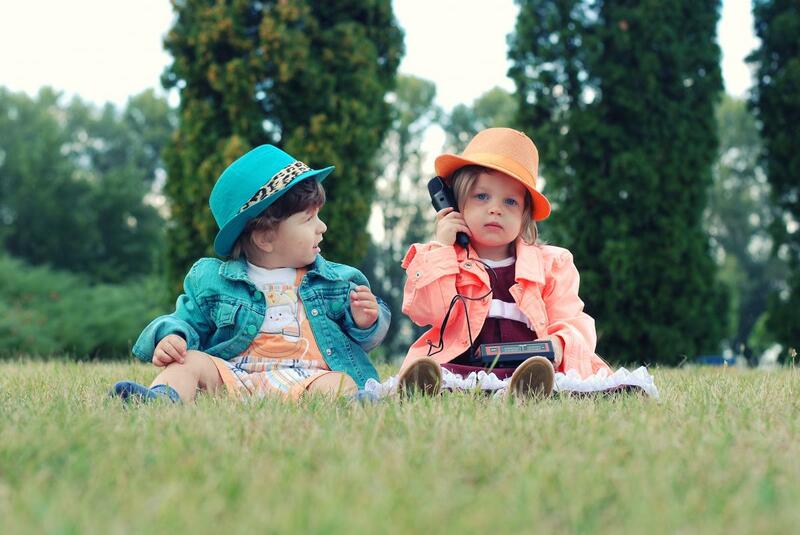 Every child who joins the nursery receives support from an experienced member of the team. They are responsible for your child’s individual needs and known as the ‘key person’. 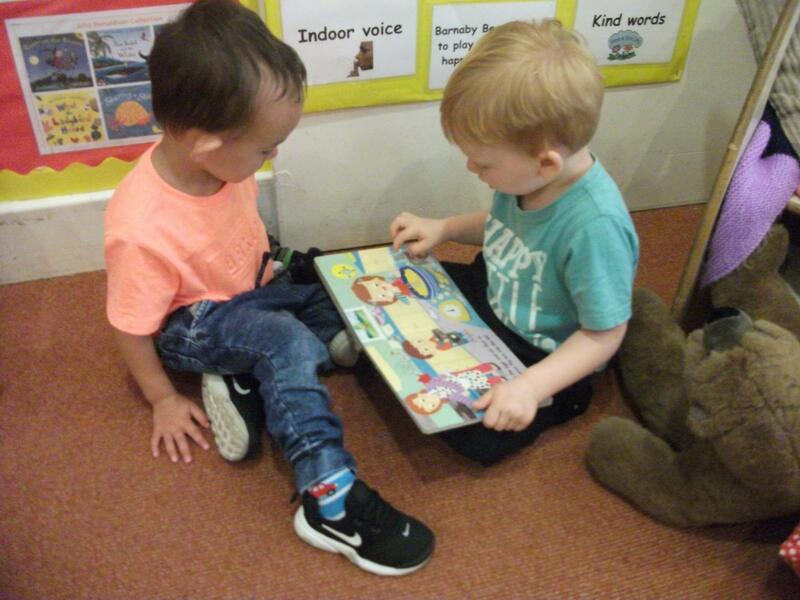 The key person is your main point of contact however all nursery staff are happy to feedback on your child’s developmental progress on a daily basis or discuss any concerns with you. They will also keep records of your child’s progress and achievement, which are always available for you to see and contribute towards. 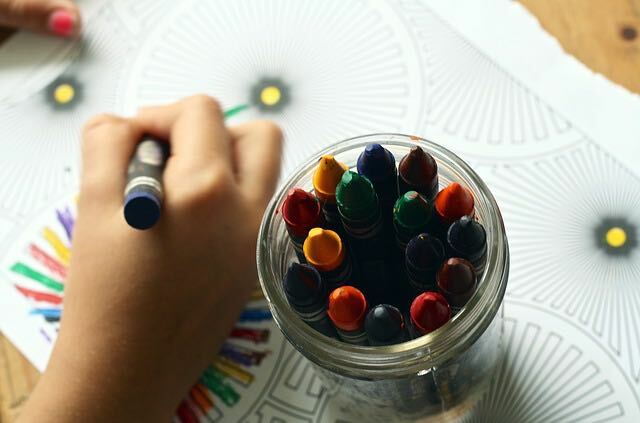 Children are eligible for the funding in the term following their third birthday. The funding is available for 15 or 30 hours per week. 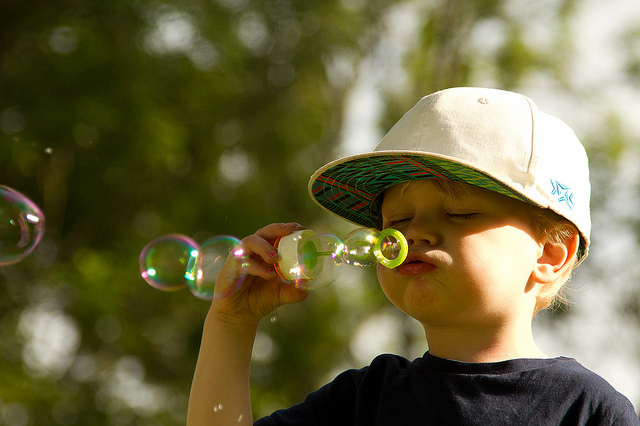 If your child is 2 years old, your child may be eligible to attend the 2 year old funded childcare programme. The funding is available for 15 hours per week. Please ask us. We offer 3 sessions. Morning session 8am - 1pm, afternoon session 1pm - 6pm or a full day session 8am - 6pm. All meals are prepared daily on site using fresh ingredients to support balanced recipes and menus to ensure children's nutritional needs are met while in our care. Meals provided include breakfast, mid morning snack, lunch, afternoon snack and tea. All dietary requirements are met, these will be discussed on your child's induction to the setting to allow time to plan alternative meals prior to your child's start date. Staff qualifications range from working towards a Level 2 to Level 5 in Early Years and Education. All children are required to attend a minimum of 3 settling in visits. 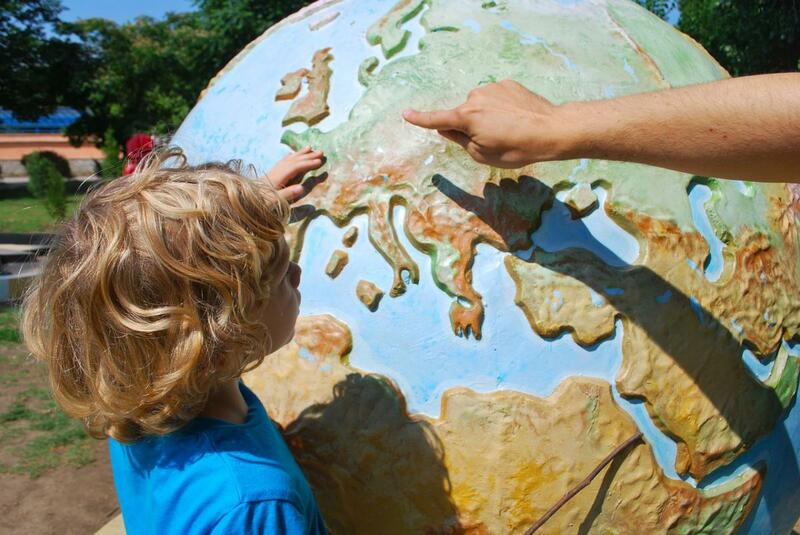 Visits are aranged to allow sufficient time for you and your child to both feel comfortable being in the setting. Extra visits will be arranged where necessary to secure a firm transition from home to nursery and allow strong relationships to be formed.